Mike Glazer became interested in crystals at the age of seven, when he found his first natural mineral. This early interest remained with him and eventually took him into the field of crystallography. Since then, he has established a reputation for his work on the crystallography of technologically useful crystals. The main thrust of his work since 1969 has been in determining the link between crystal structure and physical properties, with particular emphasis on crystal optics. This has been done by a combination of techniques, the principal ones being x-ray and neutron diffraction, dielectric measurements, use of synchrotron radiation, and unusual optical experiments. In 1965 he obtained a B.Sc. in Chemistry at Queen's College, Dundee, then part of the University of St. Andrews. He then obtained his Ph.D. in 1968 under the supervision of Professor Dame Kathleen Lonsdale. This work was on structure, disorder and physical properties of mixed organic crystals. From 1969 until 1976, Mike Glazer was at the Cavendish Laboratory, Cambridge, originally as a postdoctoral assistant to Dr. H.D. Megaw, but later as the Director of the Wolfson Unit for the Study of Dielectric Materials. During this time, successful work was carried out on structures and phase transitions of perovskites, such as NaNbO3, KNbO3 and PbZrxTi1-xO3 (PZT). A major contribution at that time was the discovery of the 23 types of tilted octahedra in perovskites, and the development of a notation that has now been widely adopted internationally. Mike Glazer's group was one of the first in the world to grow single crystals of PZT. For many years, this work was carried out in collaboration with the Allen Clark Research Centre (Plessey). Roughly at the same time, Mike Glazer's group was instrumental in establishing the use of x-rays in crystallography from a synchrotron. Among the "firsts" achieved during this time was the first energy-dispersive diffraction (using a solid state detector), the first study of a phase transition by white beam topography, the first Rietveld powder diffraction experiment, the first high-resolution energy-dispersive diffraction experiment, and the first demonstration of the use of the Laue technique to refine crystal structures (this method is now one of the most important ones used by protein crystallographers at synchrotron laboratories). In 1976, Mike Glazer was appointed lecturer in Physics at the University of Oxford and Official Fellow and Tutor in physics at Jesus College Oxford. This resulted in moving the entire crystallography group to Oxford. He continued his basic research into crystals and properties, expanding the range of techniques to include more optical experiments. A system for recording optical birefringence as a function of some external variable (such as temperature) was built with a sensitivity of 1 part in 107. This has proved invaluable in the study of phase transitions of crystals. During this time, research collaboration on surface acoustic wave materials was pursued with Plessey and RSRE, followed by a JOERS collaboration on electro-optic crystals with Plessey, GEC, University College London, Queen Mary's College and Sussex University. Other industrial contacts include ICI (on organic electro-optic crystals, and a very successful collaboration on the structures of zeolites). In more recent years, the bulk of the work has been directed towards optical properties of crystals. In particular, Mike Glazer's group was the first to establish a clear link between structural chirality and the sense of optical rotation, and indeed has even been able to calculate both the sign and magnitude with good reliability directly from the crystal structure. This problem had remained largely unanswered since the discovery of optical rotation in 1811. Mike Glazer's group showed that errors in most of the crystallographic experiments had created a confused picture, and once this had been realised, the link between chirality and optical rotation became clear. This work has led to a fundamental understanding of optical rotation, and is an important step in understanding other optical effects such as refractive index, linear electro-optic effects and non-linear optics. Construction was made of a unique optical polarimeter system based on a Japanese design (HAUP). This has enabled the study of optical rotation to be made in sections of crystals that are at the same time linearly birefringent. This apparatus is unique in that, not only is it probably the most precise polarimeter in the world, but it carries out measurements as a function of wavelength (almost all the other HAUP apparatus built in other countries use a single wavelength, and this can lead to misinterpretation of the results). This apparatus has enabled fundamental measurements of optical activity to be made on a large number of crystals for the first time, and has resulted in many foreign visitors to the laboratory to make use of the technique. This group was the first in the UK to begin a program of research into the industrially important non-linear optic crystal KTiOPO4 (KTP). A recent invention in the group has been a new type of optical imaging system that enables birefringence effects to be separated from orientation and false colour images produced of the separate quantities. This system has been patented. It is also worth mentioning here that during the course of a fundamental study of phase transformations of crystals, Mike Glazer and John Cosier invented an new method for cooling small crystals in an open stream. This resulted in both of them setting up a small firm (Oxford Cryosystems) to manufacture the equipment (Cryostream), in which we have the world market lead. This apparatus is now the principal low-temperature instrument used by crystallographers world-wide. Mike Glazer's research group has produced over 24 Ph.D.'s, many of them currently working in industry and in universities. 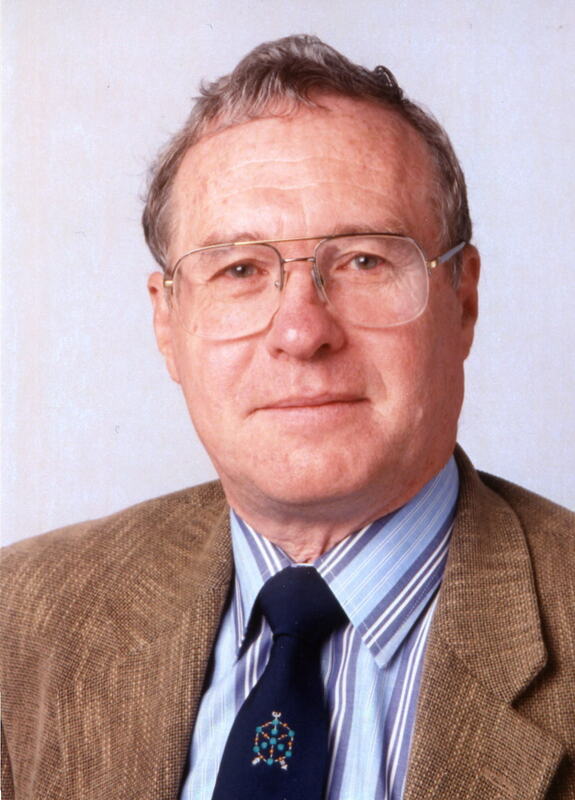 Mike Glazer was President of the British Crystallographic Association from 1996-2000. In addition to his enthusiasm for crystals, Mike is also a keen (really keen!) aviator. 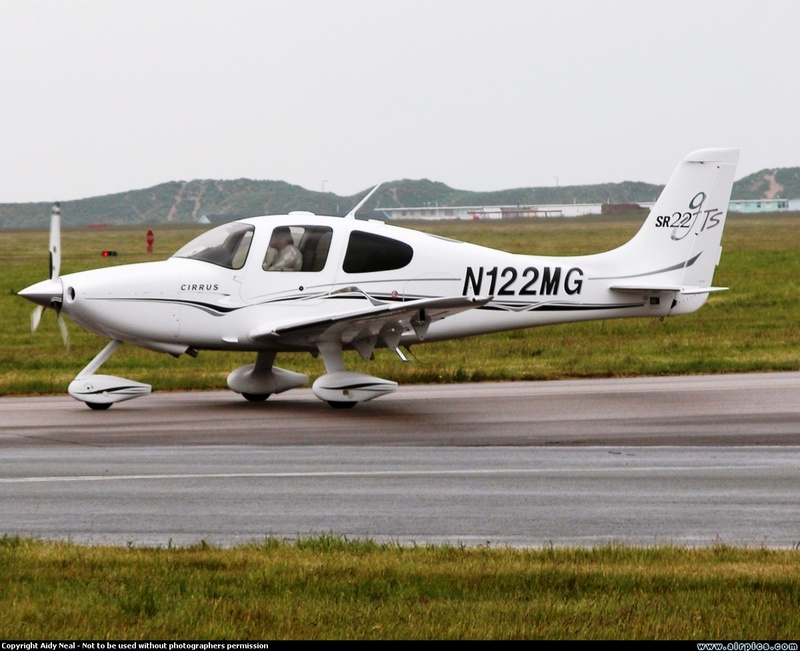 He owns and flies a Cirrus SR22 (Reg: N122MG) which is capable of cruising at 180 kts! Fred Wondre is employed at the Clarendon Laboratory as Research Support member of staff (Grade 1A). He was born in Poland 13.9.43 of Austrian parents, and spent his boyhood in Vienna, and has been in the UK since 1956. He studied Grad. Inst. P. in Applied Physics. Subsequently he spent five years at the Central Research Laboratories of Richard Thomas and Baldwin at Whitchurch nr. Aylesbury in the process metallurgy laboratory working on problems associated with the production of sheet steel. He began at the Clarendon Laboratory in 1968, initially in the Crystal Growth group carrying out some crystal growth, the quantitative analysis of crystals by instrumental chemical analysis with an atomic absorption spectrophotometer and an x-ray fluorescence spectrometer, and the qualitative assessment of crystals with x-ray diffraction techniques. 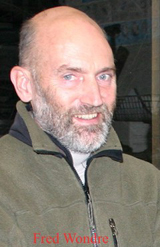 Fred joined the Crystallography Group in approximately 1981 studying a wide variety of crystalline materials with x-ray diffraction techniques while being responsible for the maintenance and practical running of the group. His interests include: kayaking wild water rivers, sea kayaking, slalom kayak competition, travel, (five-a-side football) now retired, paragliding and skiing, resumed in 2004. Nan joined the group in 2005 as a D.Phil. student working on the phase transitions and piezoelectric properties of the lead-free perovskite material sodium-potassium niobate. She was born in Nanjing, China. 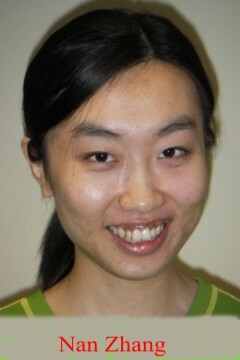 Her primary and secondary education were in China and she studied for the B. Sc. degree of Physics in Nanjing University. In her spare time she likes reading detective fiction and playing sports like women's soccer, table tennis and basketball. She completed her D.Phil. in 2009 and now continues to work as a Postdoctoral Research Assistant in the group, studying the formation and properties of lithium tantalate-niobate crystals. 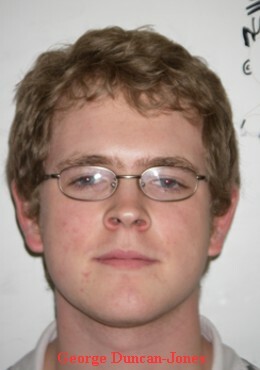 George joined the research group in January 2007 having obtained an M. Phys. at the University of Warwick. He is currently researching the statistics involved in powder diffraction, with particular emphasis on removing noise and on smoothing and peak picking of the data.